Exclusive GlamourGlitz ''Mommy & Me'' Women's T-Shirt. Designed with a soaring American Eagle, the National Emblem, crafted with Red, Silver and Blue Rhinestuds that catch a sparkle in the light. 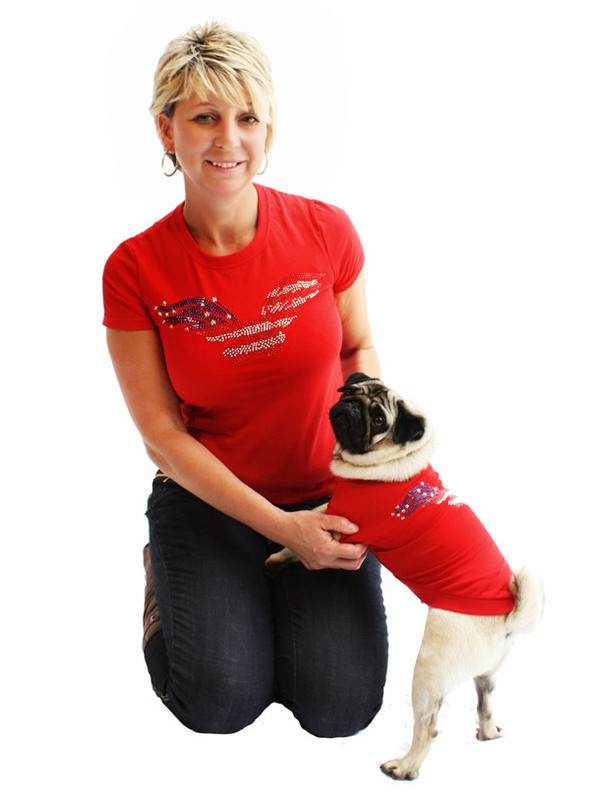 Whether you wear this to match up with your pet or just on it's own, you can be sure you are wearing a unique design. Feminine fit with shaped side seams. Cotton / Lycra rib crew neck with taped neckline for comfort. Twin needle stitching detail on sleeves and hem. Fine knit gauge, 100% Cotton Belcoro Yarn. 160-165 gms.